Keys get lost. It’s a fact of life. It's as if invisible gnomes are scouring your home at night, looking for misplaced keys to add to their collection. Whether you have had two copies of a key made, or three, eventually you'll be bound to be down to your last one. That is why many garage door systems have evolved to do without the ever-disappearing key. More and more models of wireless keypads and multicode remotes have started overtaking the industry. The zeitgeist of today is not only to do away with the physical key but also to be able to access and control your garage door without needing to push a button that is physically wired to the opener unit. Wireless keypads and other types of remotes and control methods have made using your garage door far safer than before, and much more convenient as well. In the past, if you'd lost your remote control, you'd be stuck and would resort to using your garage door manually until you got a replacement remote. However, nowadays, these types of scenarios can be a thing of the past. You won't ever have to worry about not being able to use your garage door due to not having a control unit available. There is a vast variety of devices for you to choose from. From the classic remote control to the wireless keypad that can be placed anywhere around your house, to even a smartphone app that allows you to operate your garage door from virtually anywhere in the world. An opener remote control can simply be added to your keychain, but it is still a physical type of access key, and therefore can be susceptible to the same issues an actual key would, such as being lost or breaking. The wireless keypad option is usually preferred, as it doesn't need to be carried without you for security purposes. The best method, as far as many homeowners are concerned, is the smartphone app, which is the most convenient one, and simply requires to have your phone on your person, which 99.99% of people already have. What you always need to remember when dealing with any type of garage door opener is that the unit needs to work correctly every time. If for some reason it fails to do so, then you should not neglect it and make sure professional technicians examine it to make sure there are no underlying issues. 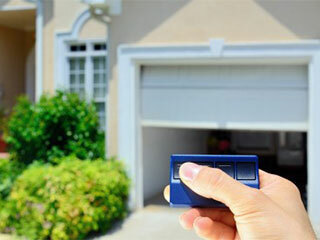 Call our experts at Garage Door Repair Mundelein today for any related need.